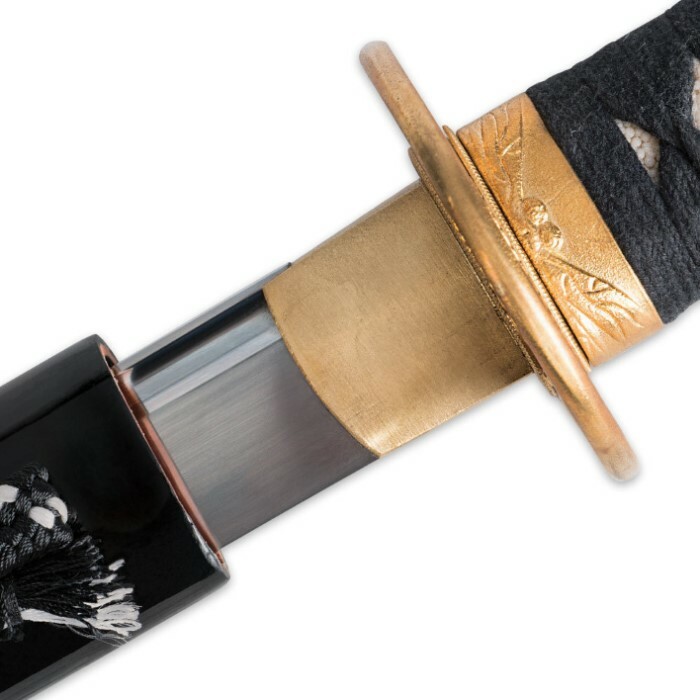 Pros: Sharp Handle is tightly wrapped Dragonfly theme is cool Cons: Doesn't feel very sturdy does not seat in sheath barely a hamon line Tsuba is very small Overall I am kinda disappointed comparing this to the White Falcon makes this sword look pretty bad, wish I would've invested in the Ryumon dragon katana instead. Life lesson to stay away from $100 swords. 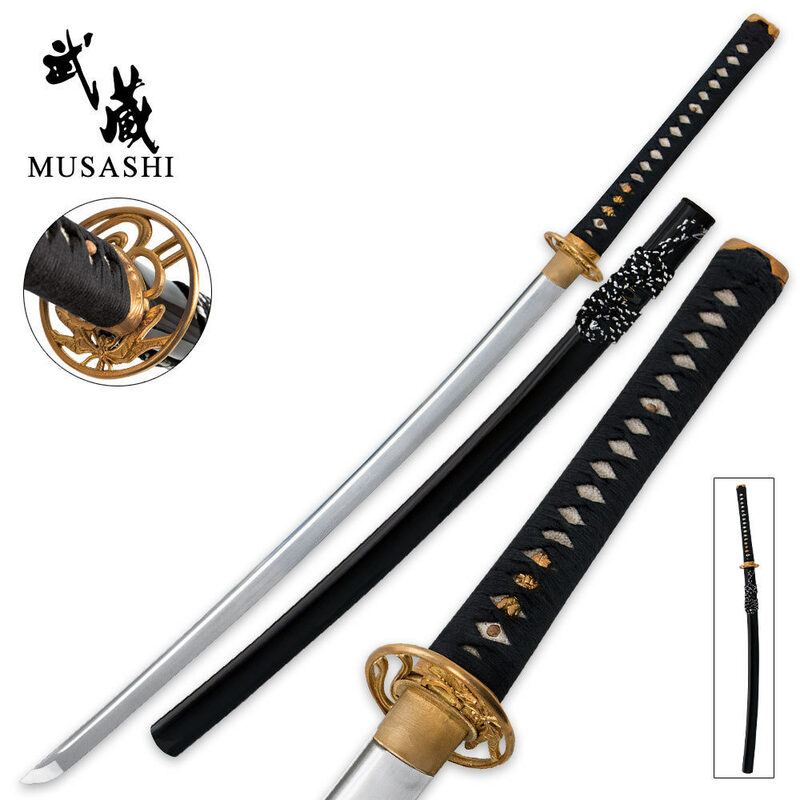 I agree this is a really nice sword I think it would be a nice addition to any collection, a very beautiful sword!! exellent buy truely worth the money very tightly wrapped handel beautiful tsuba and great attention to detail. my only complaint was the fact that i couldnt cleanly cut paper it did more ripping than cutting,however after voicing my complaint to the trueswords staff; they promply sent me a shapening kit. So you really got no reason why not to get this exellent addition to any collection. There aren't enough words to describe how this sword looks. The golden(bronze) accents just look amazing on this sword, and the sword itself almost glistens in the light. This sword is so beautiful I wont even do a single test cut with it, EVER. This one knocks it out of the ballpark easily. Excellent sword; for the price, I've never seen better. The gold really makes it pop. Recommended for anyone with even a passing interest in blades. The sword is great. I'm a collector and martial artist and the only complaint I have isn't really a complaint. The hamon isn't that defined but its there. I'm a repeat customer and trueswords has never let me down. Best sword I have ever bought so far. I have many swords and this is so far the best! 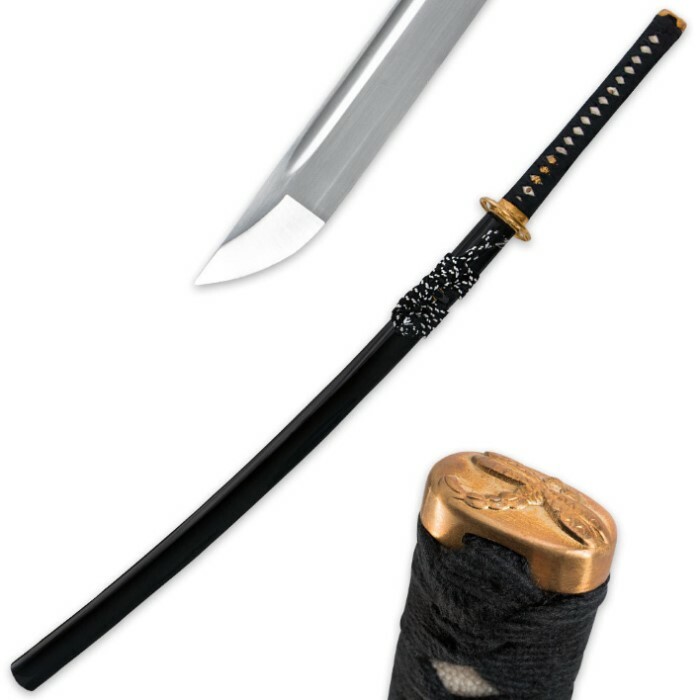 True Swords is the literal meaning this is a True Sword! It comes pre oiled, sheath is nice, certificate of authenticity, and the sheath locks the sword in place so theres no by mistake falling out. 2 thumbs up! The Sword Looks Beautiful looks just as it was described but anyone thats into swords always inspect the sword to the fullest extend however i could not do that the only flaw i see is the fact of not being able to dissembling it fully after i got the wooden pegs out of the handle ive tried to pop the tsuba off but it would not budge other then that this is worth the buy.